Located in Downtown Shanghai, this hotel is within 1 mi (2 km) of Shanghai Museum of Pen and Ink, Nanjing Road Shopping District, and People's Square. Yu Garden and The Bund are also within 2 mi (3 km). 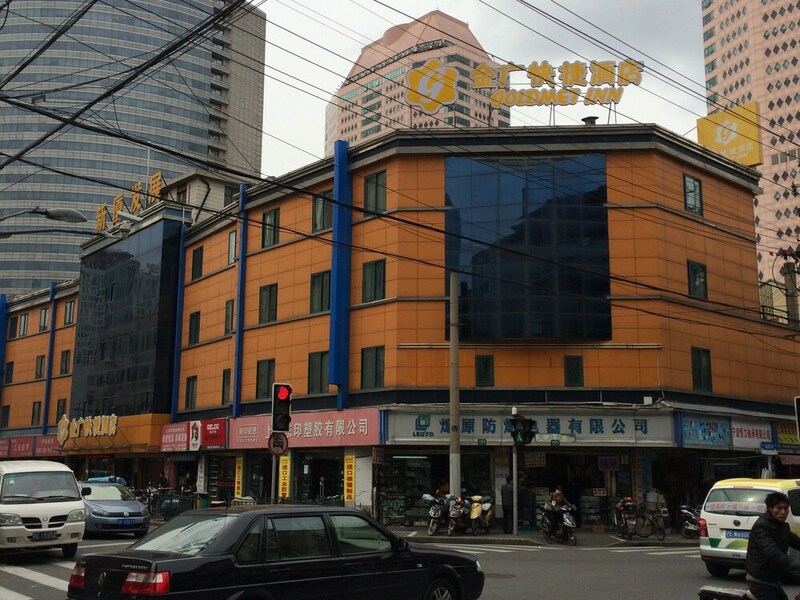 East Nanjing Road Station is only a 4-minute walk and East Nanjing Road Station is 10 minutes. Along with a restaurant, this smoke-free hotel has a business center and dry cleaning. WiFi in public areas is free. Additionally, a 24-hour front desk, a computer station, and express check-in are onsite. All 75 rooms feature thoughtful touches like bathrobes and slippers, plus free WiFi, free wired Internet, and flat-screen TVs with digital channels. Room service, premium bedding, and free newspapers are among the other amenities available to guests. The hotel offers a restaurant. A computer station is located on site and wired and wireless Internet access is complimentary. This hotel offers access to a business center. This business-friendly hotel also offers tour/ticket assistance, dry cleaning/laundry services, and express check-in. Jinjiang Inn Style Shanghai Nanjing Road Fujian Middle Road is a smoke-free property. Jinjiang Inn Style Shanghai Nanjing Road Fujian Middle Road has a restaurant on site. Start your morning with a continental breakfast, available each day from 7:30 AM to 9 AM for a surcharge. You can order up room service during limited hours. This property's policy is to refuse certain bookings for the purpose of group events or parties, including pre-wedding stag/bachelor and hen/bachelorette parties. A resort fee is included in the total price displayed. Only registered guests are allowed in the guestrooms. No pets and no service animals are allowed at this property.